Digital archive of match day programmes for Tayport F.C. The World Rugby Museum is back! Podcast - Learn more about Sporting Heritage! Football Fever at the Natural History Museum! 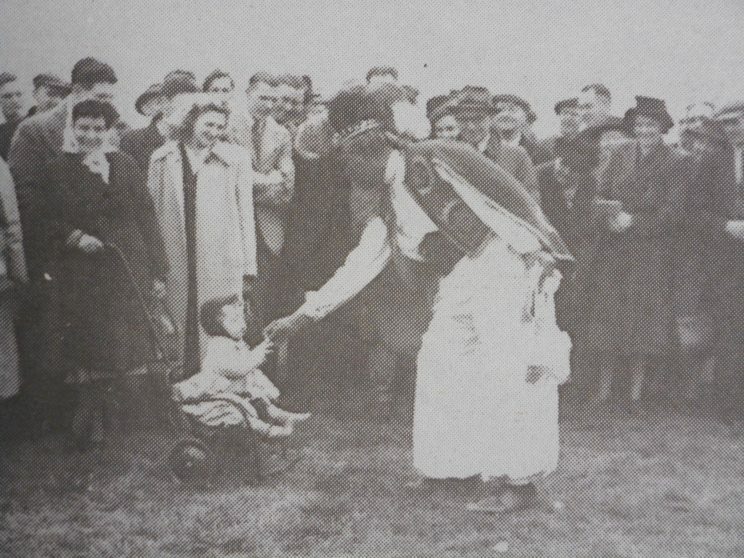 Ras Prince Monolulu entertains the crowd at Warwick Racecourse. Image from 'Bygone Warwickshire: A Photo History of our County', Leamington Spa Courier. With his striking feathered headdress, his jewelled and embroidered attire and his signature cry of ‘I gotta horse!’, Ras Prince Monolulu must have been a difficult figure to miss.1 In the 1920s to 1950s, the tipster was a famous sight in racecourses across the UK. He mainly operated down south at the Epsom Derby, but he could also be found closer to home at the Warwick Races. Does anyone remember Ras Prince Monolulu at the Warwick Races? Perhaps you bought a tip from him? If so, was it a winner, or was it all just ‘part of the fun’? “Reproduced from the “Our Warwickshire” website.